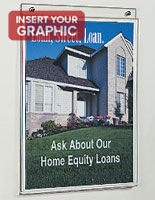 This acrylic sign frame holds 5.5"w by 8.5"h signage. 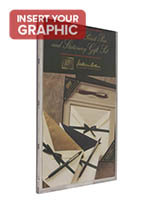 This poster holder features an open "foldover" design, allowing you to quickly insert your posters from the top or sides of the frame. 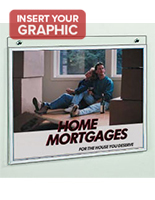 With a foldover design, you don't need to remove your acrylic sign frame from the wall in order to change your posters or advertisements. 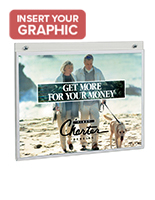 Simply slide a poster into the side of the frame to start advertising! 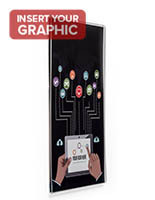 As a result of their simple-to-use design, this acrylic sign frame is the ideal poster holder for use in fast-paced environments, such as restaurants, travel agencies, retail stores and financial associations. 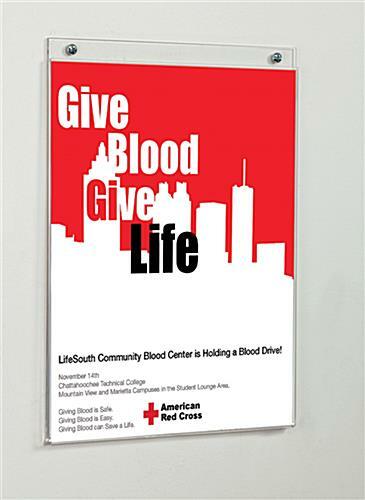 This poster holder is easy to install and you can easily print your design onto an 5-1/2" x 8-1/2" paper. 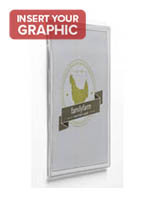 If you are looking for larger but similar acrylic sign frame please check the related category for the correct size. 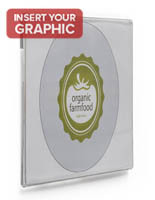 This is ideal for customers wanting to print their design from a standard computer printer. This Wall Mount Sign Holder was just the right size for our needs! This product will work great for signs for our classrooms. I am excited to get them installed! Quick delivery and great price made it ever better of an experience. We're glad you had such a great experience shopping with us and that you're happy with your order. Thanks for the great review, Matt! great product, exactly what I was looking for. Good product - Great service arrived the next day!